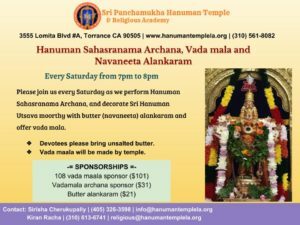 With the immense blessings of Lord Hanuman, Sriman Narasimhacharya Cherukupally started the temple in Torrance in 2014 to serve the religious and spiritual needs of the community. The presiding deity is the unique Panchamukha or five-faced Hanuman. The 12 foot tall Panchamukha Hanuman is the only one of its kind in the USA, and indeed a truly imposing sight to witness in all his finery. 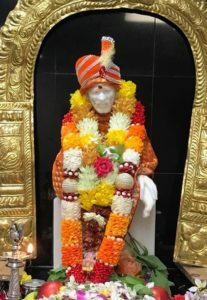 Besides Lord Hanuman, the temple also houses the following deities: Lord Ganesha, Shivalingam, Lord Venkateswara & Navagraha devatas, and Utsava moorthy of Lord Murugan (Karthikeya) & Lord Ayyappa, and Sri Shirdi Sai Baba. 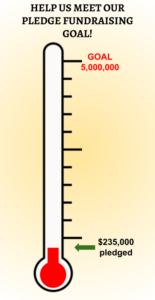 We are also in the process of welcoming more deities to our temple shortly. 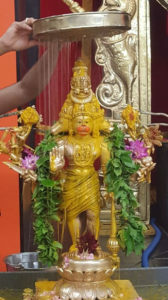 We perform Hanuman Chalisa chanting, Hanuman abhishekam, Ashtottaram & Aarti followed by annadanam prasadam every Tuesday evening. 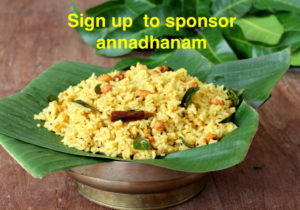 Our regular seva also includes abhishekam for our main deity Lord Hanuman & Lord Venkateswara every month. 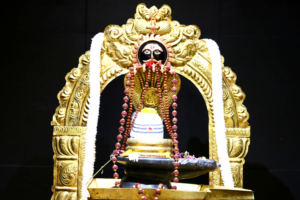 Please check our full schedule of temple poojas and monthly events calendar for more information. A temple serves not only as a cornerstone for religion and spirituality, but also a social and cultural hub for the community. What started as a small gathering of worshippers has grown to hundreds of devotees that visit from all parts of Southern California. We celebrate all Hindu festivals with thorough devotion and enthusiasm, and various cultural events and performances are a part of this celebration. Several classes ranging from Indian cultural music & dance to robotics and math also take place in the temple. The Temple Steering Committee oversees the activities of the many dedicated and enthusiastic volunteers that make all these events and services possible. 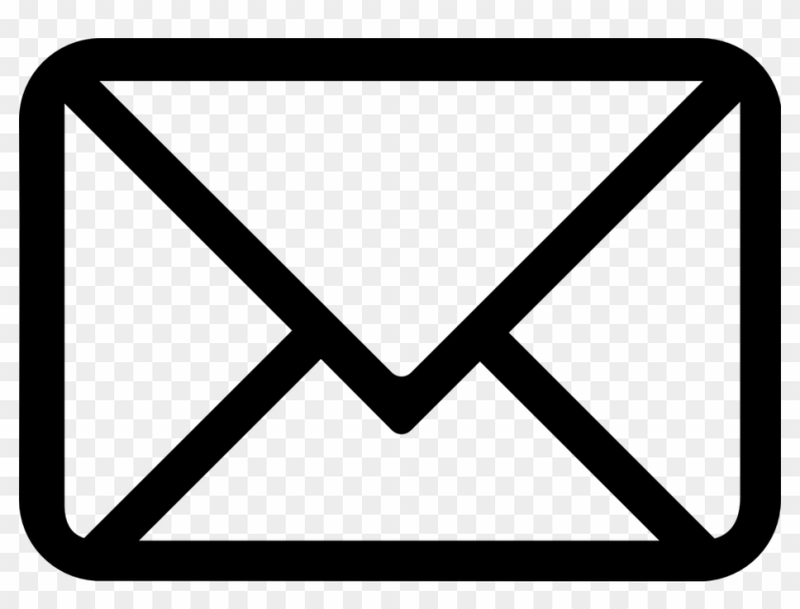 If you would like to do seva at the temple, please sign up here to volunteer, and we will get in touch with you shortly. Please visit the temple and receive the immense blessings of Lord Hanuman. May Lord Hanuman shower his blessings on you and your family!